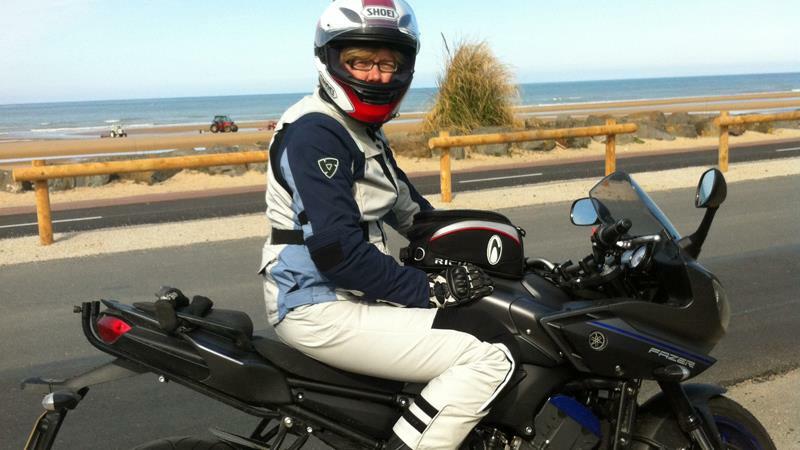 What better way to run in the new Yamaha Fazer 8 than to pop over to Normandy for a three day rider training work shop with Nigel, nicknamed Red Leader, from Advanced Motorcycle Training! I took collection of the bike on Monday, fitted the Ventura luggage system on Wednesday and was on the ferry bound for Caen on Friday, not a bad week really!! I've had three very mixed days of riding but I've clicked with the bike and really enjoyed today's 150 mile route, which ended up with a quick photo opportunity at Omaha Beach. Back home tomorrow and the two wheels will be swapped for two feet, I'm running the Milton Keynes Marathon in aid of London's Air Ambulance.